The U.S. Army Aviation Center of Excellence (USAACE) trains, educates and develops Army Aviation professionals and integrates indispensable Aviation capabilities across warfighting functions in support of commanders and Soldiers on the ground. 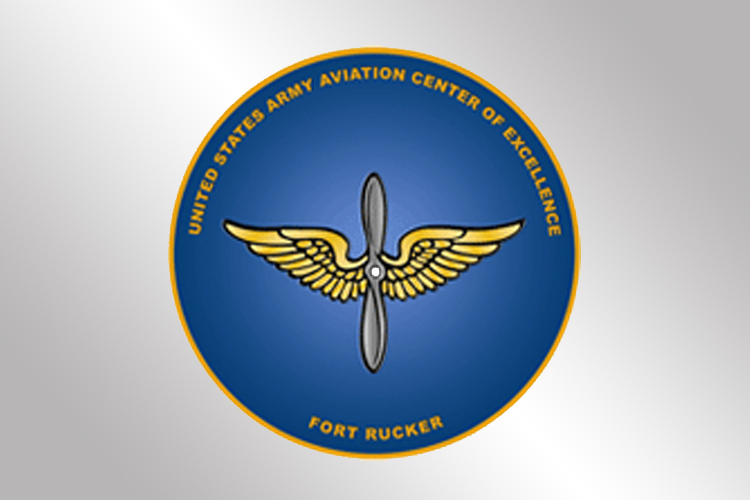 Fort Rucker, Ala., is the Home of Army Aviation. The U.S. Army Garrison Fort Rucker’s mission is to provide the installation capabilities and services to support expeditionary operations in a time of persistent conflict and to provide a quality of life for Soldiers and Families commensurate with their service. USAACE is developing and implementing an Aviation Knowledge Management (KM) environment and culture. USAACE wants to harness the critical relationship between people, processes and technology in creating, applying, organizing, and transferring knowledge to support decision making and task execution activities. KM initiatives are designed to enable knowledge sharing between the USAACE internal staff, the operating and generating forces, and the larger Aviation Community. The Chief Information Officer /G-6 function of USAACE provides architecture, governance, portfolio management, strategy, C4 IT acquisition oversight and operational capabilities to enable joint expeditionary, net-centric information dominance for the Fort Rucker Community. CIO/G-6 are the technical enablers that help realize the attainment of USAACE’s goals of knowledge sharing; they accomplish this by providing the IT architecture for the development of the Virtual Work Environment (VWE). Develop and maintain the Information Assurance (IA) program for USAACE. Develop and update Information Assurance (IA) policy including USAACE Regulation 25-2. Provide expert support to USAACE’s implementation of the Risk Management Framework. Coordinate Certification and Accreditation (C&A) of information and telecommunications systems in secure and sensitive environments and plan the steps, procedures and schedules necessary to complete accreditation as a project, coordinates appropriate milestone reviews with USAACE, and direct remediation reviews. Provide subject matter expert support for renewal of Authority to Operate (ATO) for secure video teleconference (VTC) systems and two specialized networks (DOSNET and BLCSE). Coordinate computer incident response for subordinate units. Manage and maintain the USAACE portion of the Army Training and Certification Tracking System (ATCTS). Ensure annual and other mandated IA training is completed for all users; provide a recurring set of metrics monitoring these requirements. Maintain awareness of key IA policy (DoDI 8510, DoDI 8570, AR 25-2, etc.). Develop and support requests for Certificates of Networthiness (CoN) for applications developed by and/or operated by USAACE and subordinate units. Add and maintain entries for systems in the Army Portfolio Management Solution. Maintain training and certification requirements for personnel using ATCTS and other systems. Develop and maintain IT Contingency and Continuity of Operations Plans for USAACE systems. Assign IA controls to software being developed and test/evaluate control effectiveness during T&E portion of the development process. Develop and submit Privacy Impact Assessments (PIA) for systems developed by USAACE that process Personally Identifiable Information (PII). Develop and maintain Plan of Action and Milestone (POA&M) on all accreditation activities and update at every milestone date and major events. Develop and maintain ten robust and secure SharePoint sites which provide content management capability and foster the sharing of various forms of data, information, and knowledge to support USAACE organizations. Software development support for the Aviation Training Insight Program, including, but not limited to the development, enhancement, prototyping and implementation of SharePoint for forecasting capability to develop the USAACE flying hour program for G3 and ACLC and coordination with maintenance contractor for implementation. Develops and maintain several dashboard systems that provide key metrics to USAACE’s leadership. Support of Knowledge Management systems and applications. Help desk for associated products and training programs. Zero losses of documents in the routing from Battalion, through Brigade, General Officer Staff, to the 2-star signature authority during the period of performance. Efficiencies gained in electronic distribution saved untold man hours in distribution runners (Soldiers) GSA vehicle use, and fuel; the only time a distribution run is required is for presentation awards in the presentation shells. Achieved 100% track-ability of the current location of any document submitted in eStaffing at any time. This is a significant accomplishment for an organization with three Aviation Brigades, two Noncommissioned Officer Academies, the Army Warrant Officer Career College, and over 20 directorates/tenant activities. Achieved 100% dynamic tasking capability for all mission and garrison units, which encompass three states. The Commander’s Dashboard developed by our team tracks automatically all active and closed taskers. Once applied, filter can scale down and isolate one unit to ensure tasking equity; this is a true plus for operations elements. This tasker system is fielded down to battalion level, which enables the subordinate commands to add leader tasks and controls easily and more efficiently. The ability to form a subordinate command has proved to be a true bonus and received accolades from their command teams. The team has effectively processed over 3,600 requests for information (RFI) submitted this year by TRADOC, FORSCOM, Marine and Air Force personnel. Identified as one of the most proactive and comprehensive KM and WfF teams in TRADOC. This program has been submitted to the TRADOC Staff as a best practice during the 2015 Accreditation Team visit. Specially selected for the creation and setup of the Sergeant Major of the Army’s MilSuite site. MilSuite and AKO sites are ranked at the top of their game as more active and greater membership bases. Managed over 400 Enterprise Classroom Program (ECP) Classrooms with no loss in training time. The first unit/organization to be compliant with the Video Teleconference migration to the Global Video System (GVS) transition from DVS. One of the first units/organizations to transition to the Defense Collaborative System (DCS) and conduct online tutorials to all Aviation units worldwide to assist in these efforts for FORSCOM assets.